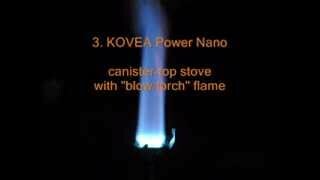 The Gear Institute BEST VALUE Award 2014: "For the price, the Kovea Power Nano is excellent stove that will muscle shelf space from some better-known brands. It impressed me with its durability, wind performance and fast boil time." Read full independent review at "The Gear Institute"